Learning a new skill can be daunting. It can also be dangerous. Virtual reality as a method for training mitigates much of this, and it’s fun! The future of education and training is well and truly here. 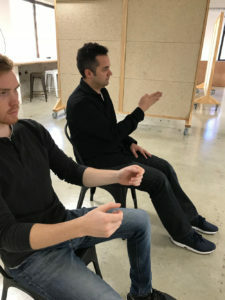 Studies show that Immersive VR training can enable individuals to learn faster and more effectively, which improves reaction time, pattern recognition, and decision making in the real world. When faced with intensive situations staff that have trained in simulation situations are better equipped to deal with these situations. A study by the Department of Surgery at Yale University School of Medicine has suggested that virtual reality also improves operating room performance for surgeons. In a random, blinded study 16 graduate residents (8 VR trained and 8 non-VR trained) performed a gallbladder removal procedure. The results showed that gallbladder dissection was 29% faster for VR-trained residents and that non-VR trained residents were five times more likely to injure the gallbladder or burn non-target tissue. It is said that around 90% of what we see and do is retained which is what makes virtual reality and augmented reality a unique and diverse learning experience. With the ability to transport users to realistic, risk-reduced work scenarios, employees can learn the skills needed for a role while also being actively engaged in the learning process. NZ Government entities NZTA and ACC recently joined forces to test out the theory with their Drive VR app. Drive VR aims to help young New Zealanders gain experience and confidence at critical driving tasks such as observation skills. Drivers are challenged to spot hazards, check blind spots and mirrors, and look out of windows—all from a virtual driver’s seat. Observation skills are tracked, so learners can keep improving their high score. Our team at Mixt built the app, shot and edited the 360° footage then added the interactive VR elements. I still remember going for my driver’s license 20 years ago. It was such a big and scary moment in my life. What would it feel like to be with an actual instructor? Where would we drive and what would be required of me? If only I’d had the opportunity at 15 to put on a headset and try it out before I did the real thing! We shot this project using 5 GoPro Hero 6’s, and a GoPro Omni 360° camera rather than our custom built six camera rig as the GoPro Omni has an easier pipeline in complex situations like moving vehicles. Along with better learning outcomes training using VR saves you money. Workplace training often requires the travelling of long distances, time out of your workplace and often all you remember is the food you ate…. VR is now being used to revolutionise employee training. We think it’s a no-brainer and every training manager should be looking at the options for integrating VR or AR into their learning modules. With a range of platforms now available it’s also much easier to integrate into your learning management system. We are often asked about case studies and training situations where virtual reality is being used. Drive VR is a great example of work coming out of Wellington, and we expect to see a lot more of this in the future.